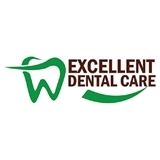 Excellent Dental Care Center (Auburn) - Book Appointment Online! At Excellent Dental Care Center, we are committed to providing quality dental care and good experiences for every customer who walks through our door. We believe that having a healthy smile will boost your confidence and will help you to have better overall health. Our staff is dedicated to giving you the most comfortable and personalized care so that you don't have to dread coming to the dentist. When you are trying to find the best dentist Tacoma has around, realize that you can get everything you need at Excellent Dental Care Center. With the best dentist Auburn has ever seen, you will have your oral health taken care of with precision, skill, and comfort. It is our top priority to keep our patients comfortable as they experience the highest quality dental care. Very professional and economical. Very satisfied with care!